I was doing some research the other day. Well that is what I tell my wife when watching videos on YouTube. 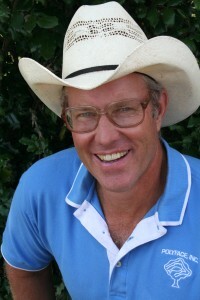 I was researching some of how Joel Salatin integrated different operations of his farm, and some of the new opportunities for your farmers he is a part of. If you have not heard of Joel I highly recommend learning all you can from him, his books, online, interviews, podcasts, and videos. He is a great source of knowledge and experience. Joel integrates many aspects of his farm operation from the timbering area, to the sawmill, to the pigs, to the rabbits, to the chickens to people. I was amazed how one waste is another input for a different system. How by putting two things together that you think as separate, can give a dramatic improvement overall when you look at the system as a whole. Something he said struck me as so true, that I often say myself but in a different way. He shared how the success they have found on their farm wasn’t from this great insight that just came from a book, class, or Devine intervention. They learned along the way on what works, what doesn’t, learned by accident even. Another one of my mentors Geoff Lawton has a somewhat similar philosophy, as does Sepp Holzer. One of the keys to permaculture is experiment, and see what works best in your climate, your soil, with your lifestyle. Try things out and see what happens. I find this very true in my own experiments and progress. Stop researching and trying to find the perfect solution, the perfect plant, the perfect design and it work 100% of the time on the first time. You will learn much more for experimenting, making your own, and trying things out. Sure, you may not be successful all the time, but you learn an aspect, you are doing, you are getting your hands dirty. Maybe you get a totally unintended result because of what you thought was a failure, but totally was a better outcome. When my experimental stacking fodder system didn’t work as I expected, it was by chance I was starting my spring seeds in the same area inside. The new seed trays I had planned on using have small notches on the rim. These notches were a great fit for left over pipes in the area from another project. Boom, I now can stack these new trays using the pipes in the notches as spacers. As it happens, the air gap is sufficient for air circulation. Bonus, the trays were on sale and got them for 0.99 each. So, now we have fodder system 2.0. Another example, v1.0 of worm composting completely failed. Smelled bad, all the worms died, and wife was NOT happy with the smell. By chance, I met a local guy who teaches worm composting. I had done everything wrong that I could possibly do wrong. Worm v2.0 success. When we collected all the surplus apples that fell on the ground, I fed them to the worms. I needed paper/cardboard for bedding for my worms. This is where my junk mail/cardboard shredding system comes in. Worms are taking a waste and turning it into a resource. This year, I started making compost tea with castings, and spraying on my seedlings. I now have an additional resource from a waste. Had I not failed so miserably, I would have never wondered why I had failed so miserably prompting me to use the failure in a class I was giving about what not to do. Had I not stated how I failed in a class I was giving, this gentleman wouldn’t have offered his help, and I wouldn’t have some of the best looking plant starts ever. The point is, you NEVER fail. You learn something that didn’t work. Learn from this, but don’t repeat it. 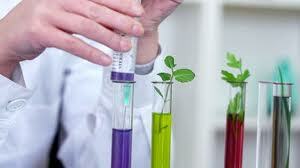 Try a different variable; maybe a different plant, a different location, or a different interaction on your part.